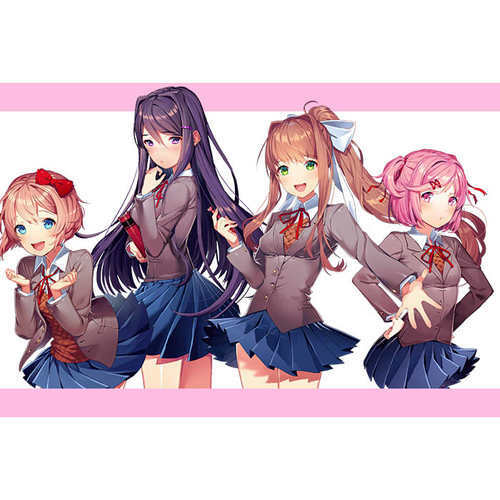 Before everything, if you haven't played Doki Doki Literature Club, it's highly suggested to check out the game before auditioning. The game itself is roughly 4 - 5 hours and is worth the experience, and knowing the characters more closely could help auditions and expectations. The title of this project is very self-explanatory. I have decided to try to start a group that aims to dub over various scenes from the game (I would love to do the whole game, but I am not sure if that'd be possible unless the voice actors are very dedicated to the project). Make sure you have a decent microphone before auditioning, I'd like to make this fan-dub as high of quality as possible! It's fine if there's slight white noise, but if your microphone picks up various noises that can't be cancelled out, that may be a problem for the future if casted. Have a Discord or at least be willing to pay a visit to the project's server via browser or app from time to time, if you can't work this out, let me know as soon as casted. You must be active or aware of what's happening for the project. I will setup a Discord server with all the voice actors/staff and actively have updates/announcements regarding the project. (Such as scripts, or other inquiries). When you're in the Discord server or talking to other members, please try to be kind or respectful to others, drama in the group is the least optimal and unhealthiest relationship between members in a cast! I'm not very strict on deadlines, this is a casual project after all, but stay on top of deadlines before I get on your case (of course I'll be kind and respectful when questioning about lines). Don't come to me with poor excuses, you can tell me the truth and I would probably be appeased. But I'd really like to have the lines turned in by 2 - 3 weeks. If there are reasons why you may be late or can't turn in a certain set of lines, let me know ASAP. Note: This game does have vulgar/sensitive content for individuals with anxiety ot depression, by auditioning, you should be "fine" with acting out these things. I have been working on this casting call late at night, so I apologize ahead of time if there are any mistakes and misinformation. If any of the roles' audition lines need any more context, or if there are any inquiries at all about the project, let me know through DMs or context! 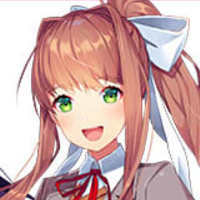 Monika is the Literature club's leader, she is also one of the main antagonists in certain routes. She is known for breaking the fourth wall and influencing the player's choices. Monika's voice should be portrayed as a kind-spoken and charismatic teenage girl. Remember that the club wouldn't be here if it wasn't for all of you. I probably shouldn't say too much, but... Sayori talks about you more than anything else, you know? She's been so much happier ever since you've joined the club. It's like an extra light was turned on inside of her. I'm just going to accept the fact that you need to quit the game once in a while. I'm starting to get used to it, anyway. Besides, it makes me happy that you always come back... So I guess it's not so bad. I'm sorry for making such a big deal out of it... And I love you no matter what, so you can do what you need to do. Sayori is one of four main characters, and one of three characters you can write poems for. She is the protagonist's childhood friend and Vice-President of the Literature Club. 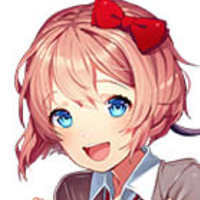 Sayori's voice should be portrayed as an energetic and bubbly girl with a relaxing atmosphere. I thought I'd catch you coming out of the classroom, but I saw you just sitting here and spacing out, so I came in. Honestly, you're even worse than me sometimes... I'm impressed! The thing is... I've had really bad depression my whole life. Did you know that? Why do you think I'm late to school every day? Because most days, I can't even find a reason to get out of bed. What reason is there to do anything when I fully know how worthless I am? Why go to school? Why eat? Why make friends? Why make other people put their energy and caring to waste by having them spend it on me? That's what it feels like. And that's why I just want to make everyone happy... Without anyone worrying about me. Natsuki is the youngest member of the Literature club, and is one of the main four protagonists of the game. She is based on the common "tsundere" trope. 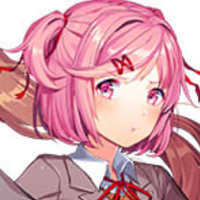 Natsuki should be portrayed both as a youthful girl (it should be noted that she is the youngest of all characters) that is arrogant/truculent but shows herself as sympathetic/kind-hearted later on. I've always wanted to try being better friends with Yuri, and it really hurts me to see this happening. I know I'm going to hate myself later for admitting that, but right now I don't care. I just feel so helpless. So please see if you can do something to help. I don't want anything bad to happen to her. I'll make you cupcakes if I have to. Just please try to do something. You're trying to look at my...m-my... You...you perv! You set me up!! Go away! Get out! I'll do it myself!! Freaking Monika... She never puts my stuff back in the right spot! What's the point in keeping your collection organized if someone else is just gonna mess it up?" 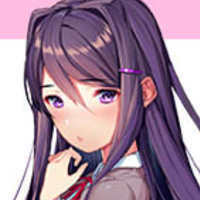 Yuri is one of the four female members of the Literature Club. Throughout the first half of the story, she is portrayed as a shy, timid character, however in the second half, she becomes intensely obsessive during her spiral of madness. Yuri's voice should be portrayed as a soft-spoken yet mature lady. W-Wait! There's a reason we have so many deep and expressive words in our language! It's the only way to convey complex feelings and meaning the most effectively. Avoiding them is not only unnecessarily limiting yourself...it's also a waste! You understand that, right, [player]? I'll give myself paper cuts so your skin oil enters my bloodstream.